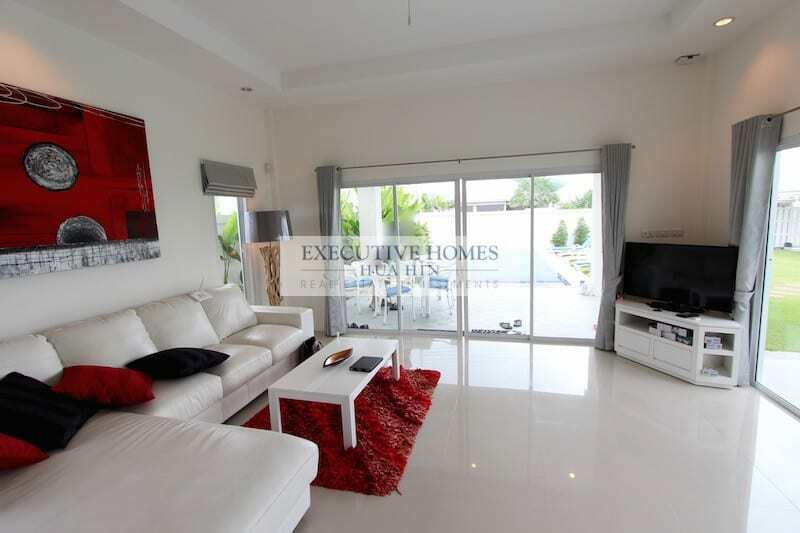 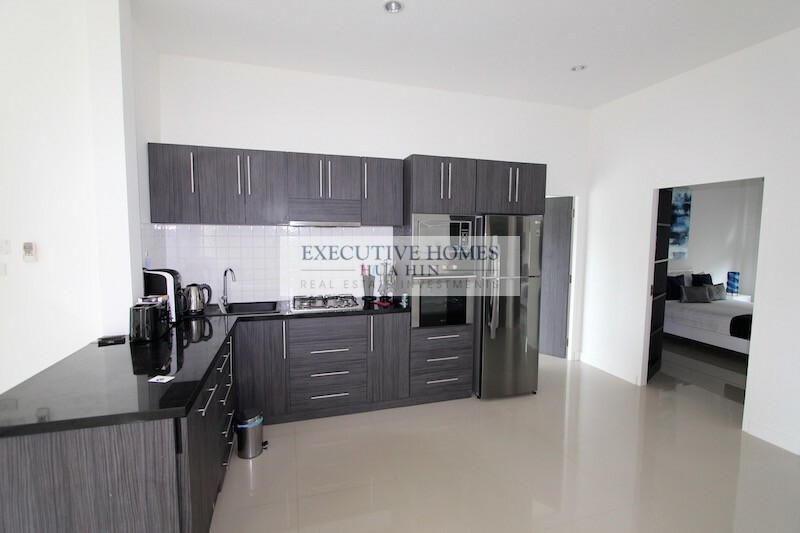 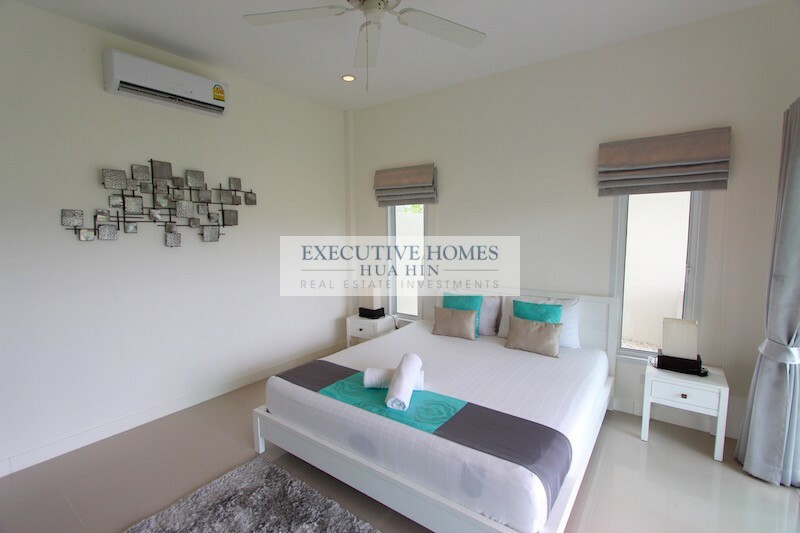 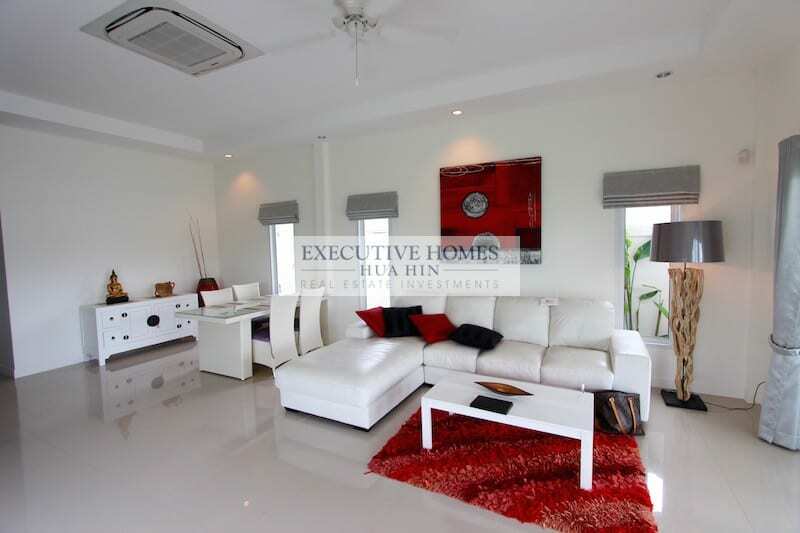 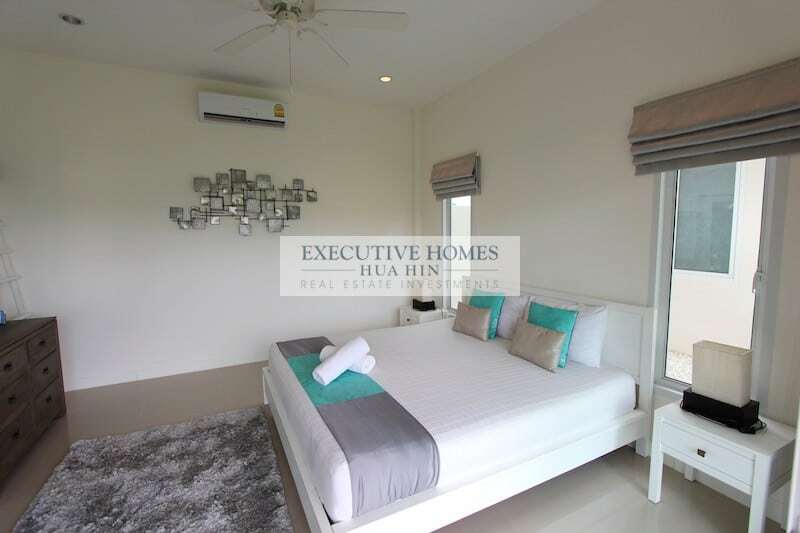 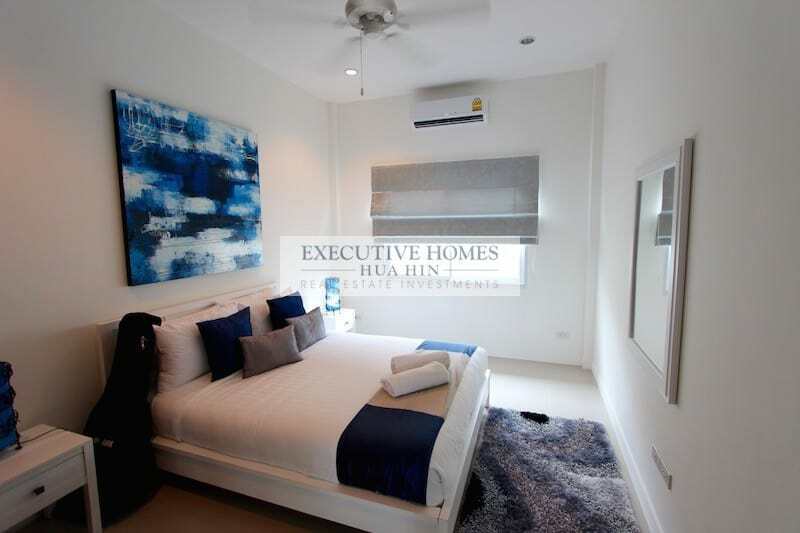 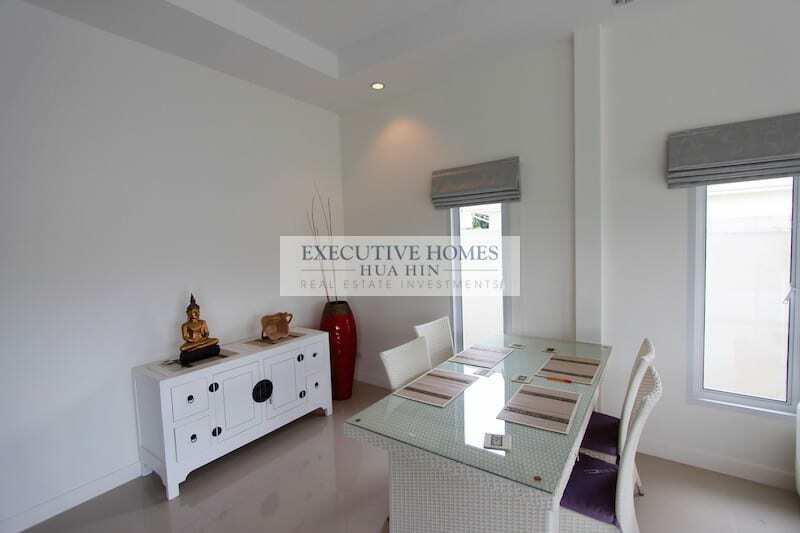 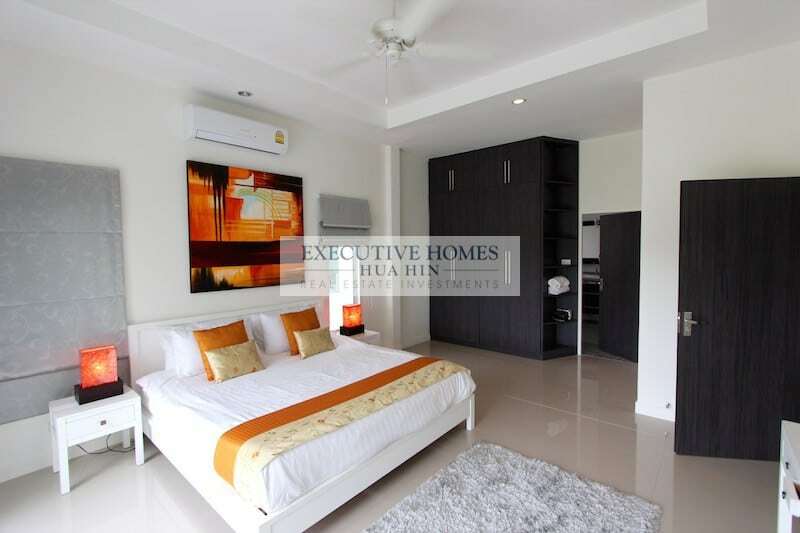 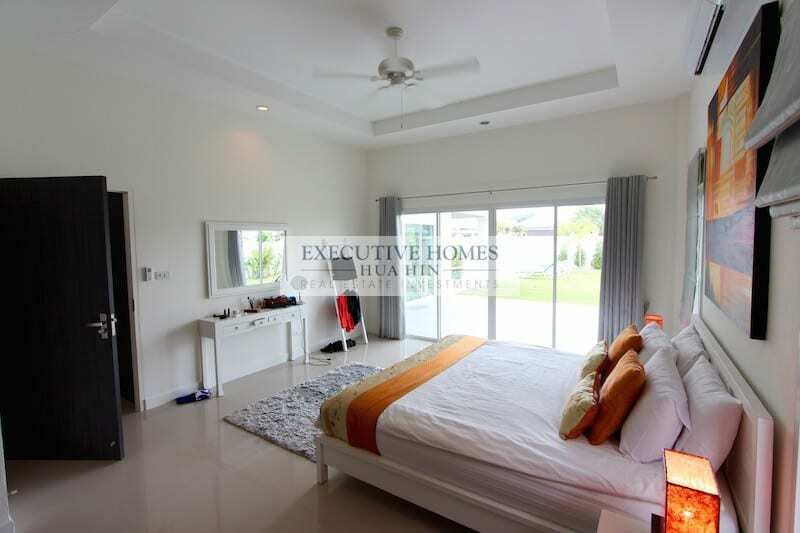 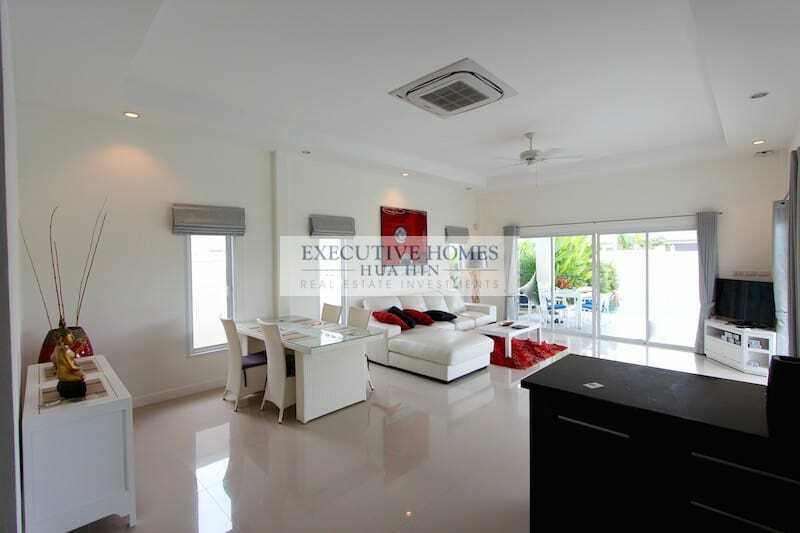 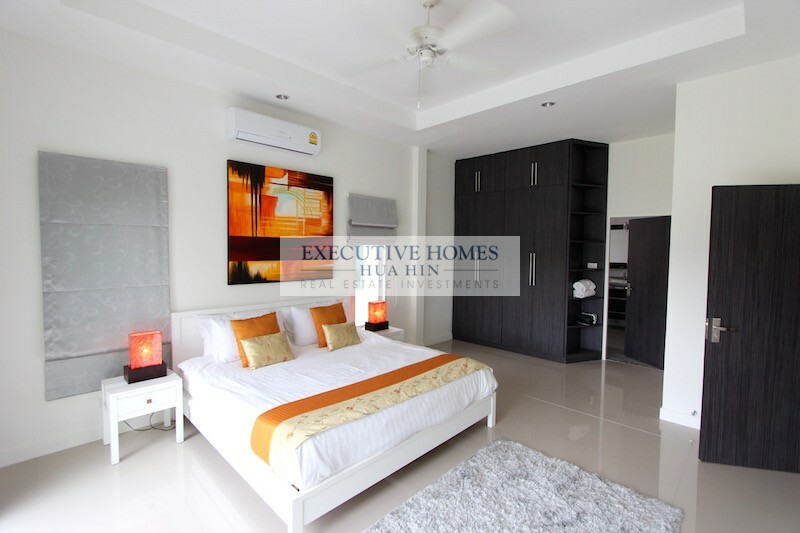 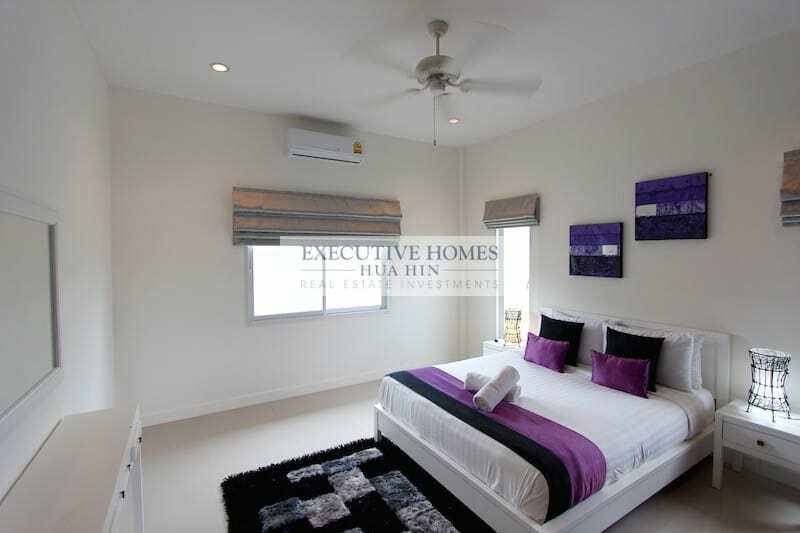 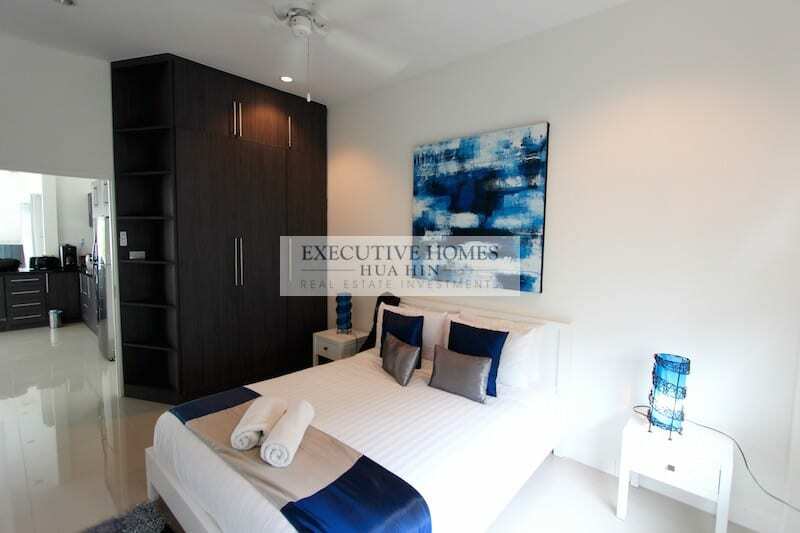 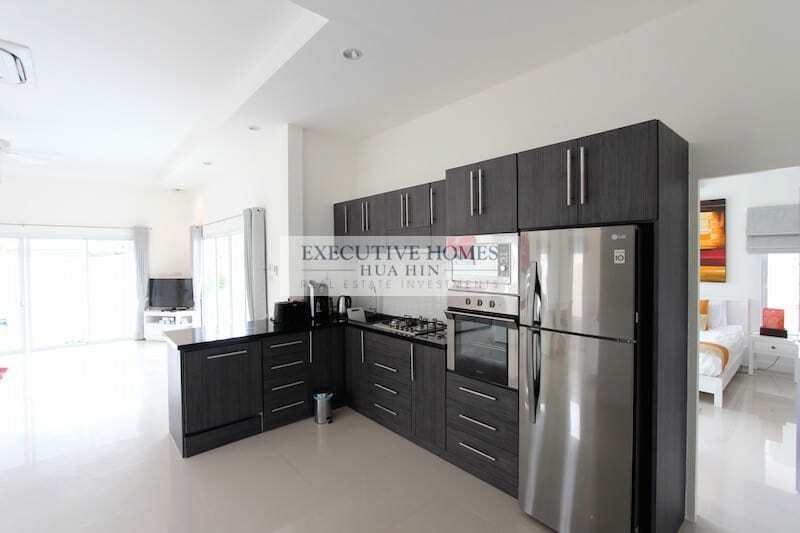 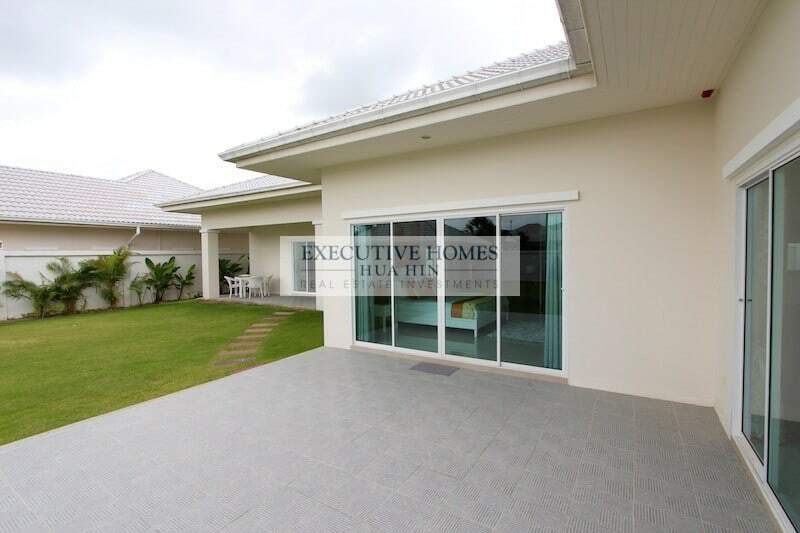 This home is for sale in the popular area of West Hua Hin in the private development The Lees. 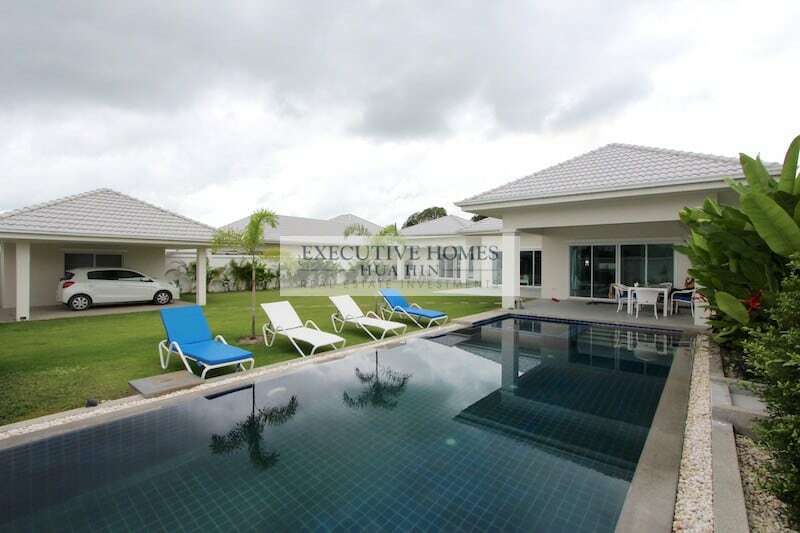 The property is comprised of the main house with 3 bedrooms plus a separate guest house with 1 spacious bedroom and en-suite bathroom. 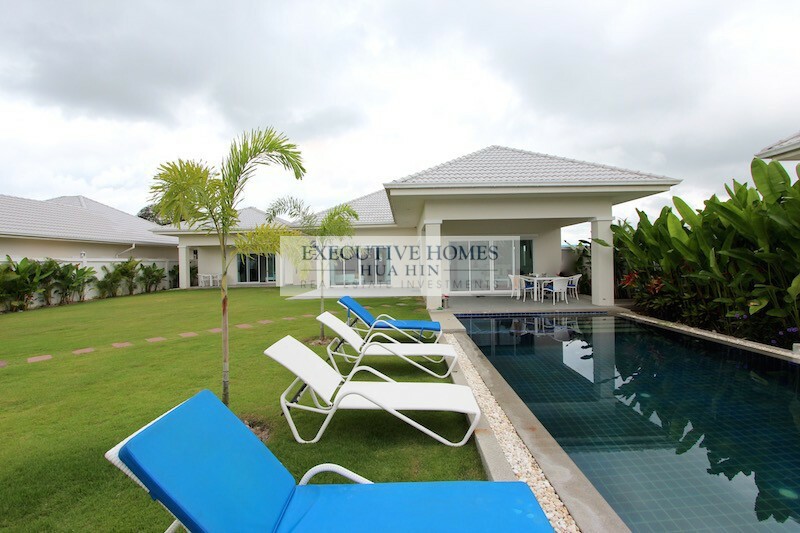 The main house has a covered terrace plus a sun deck (can be covered as an additional terrace), an open plan living, dining and kitchen area, a master bedroom with en-suite bathroom, and 2 guest bedrooms and 1 guest bathroom. 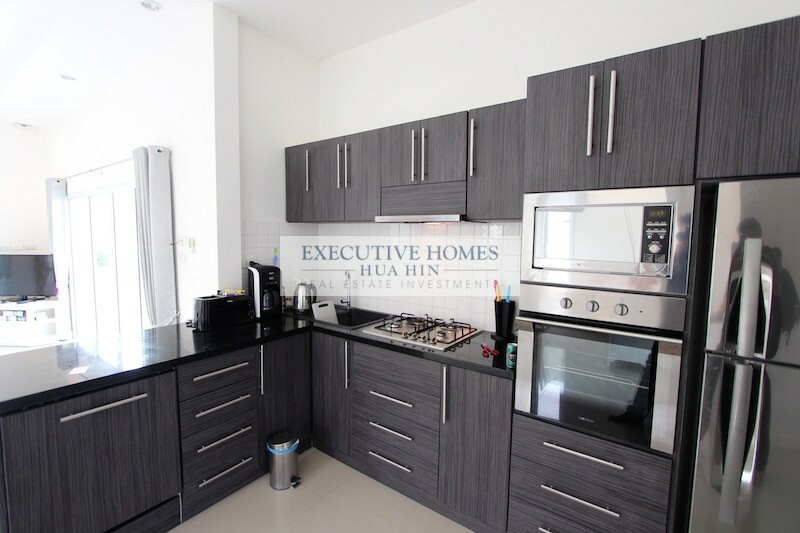 The home is sold fully furnished with furniture by Beautiful World, and the property is owned via leasehold but can be transferred freehold, if desired. 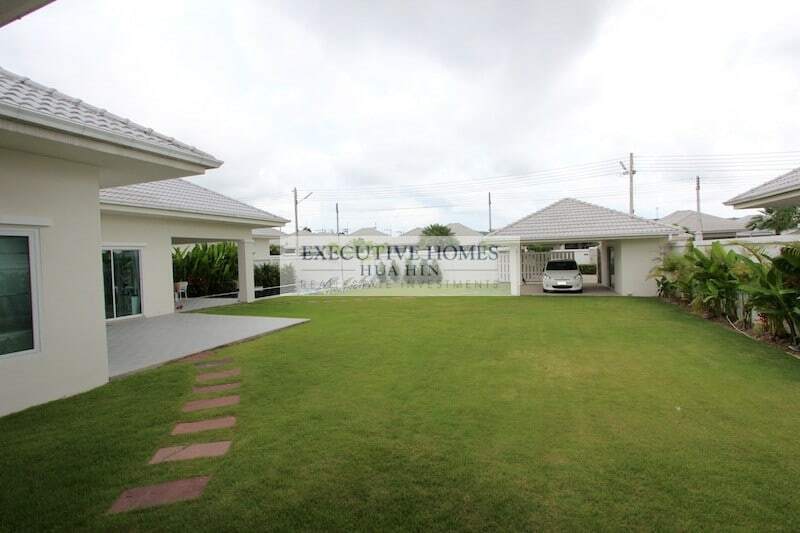 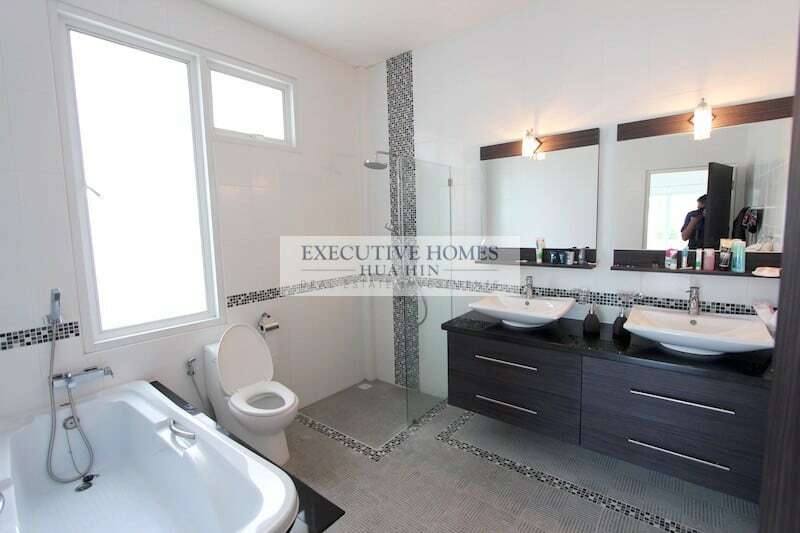 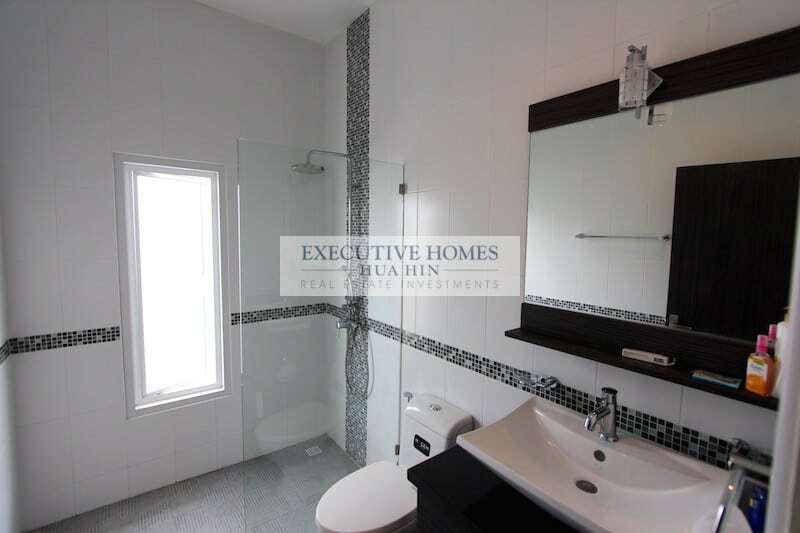 This home is also available for rent, for rental rates and availability please inquire.